Gather one and all to the vortex, the sacred ground that has bonded your souls. 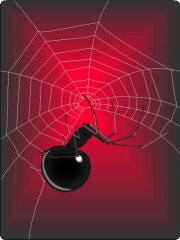 Fire Garden Events invites you to enter The Spiders Lair. Spring returns to Bonsall and there’s no better way to enjoy it than spending a weekend at The Fire Garden with your friends at Spring Growing Wild. 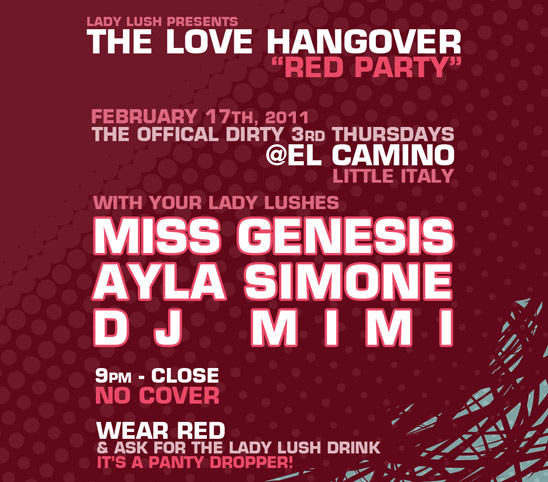 Lady Lush presents: The Love Hangover “Red Party” at El Camino featuring rockstar DJs Miss Genesis, Ayla Simone & DJ Mimi. Come down and celebrate with us by enjoying no cover, 2 for 1 drink specials, and bumpin’ house music all night. The weekend before Halloween, October 23rd – 24th Tony and Lucy invite you to indulge your darkest demons and enter The Fire Garden as we present to you The Spiders Lair. 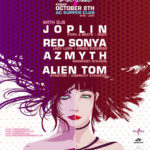 Saturday, October 8th, Red Alien presents Lady Lush “Versus” at the AC Supper Club in Venice Beach, CA w/ DJs Joplin, Azmyth, Red Sonya & Alien Tom. Thursday, July 8th, Join us for our first LA installment of LADY LUSH. 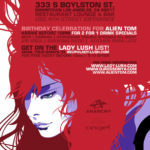 Get down to the sounds of Red Sonya, Mi$$y B, Genesis & Olivia Arthur, as we celebrate ALIEN TOM’s birthday 8pm-close! Lady Lush and Kava Lounge team up to bring you an extra special Valentine’s event this year at your favorite date night party spot in San Diego! Don’t forget, it’s a Holiday the day after Valentine’s! No work or school on Monday! 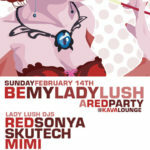 Join us Thursday, February 25th, 2010 for I Heart Lady Lush at the Office Bar in North Park w/ DJs Red Sonya, Mimi and NIkki w/ Live Art by Sisterrez. 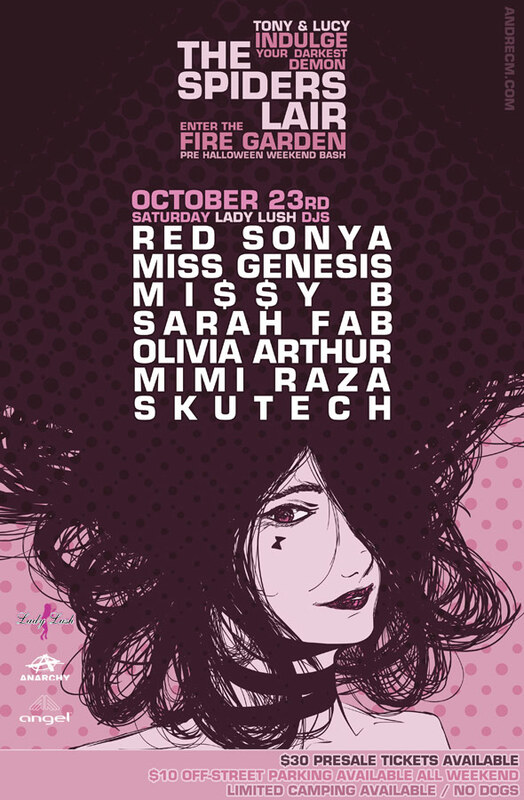 Music by Lady Lush and Bramble Republic, live performances from Zirk Ubu, Soul Voice Dance, and Sarah Cranberry, plus fire dancers and much more ! Lady Lush is proud to host the DJ Lineup Saturday night, Memorial Day Weekend at Tony and Lucy’s! Come get down with us and camp out! 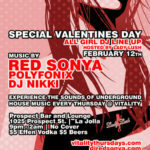 Thursday, February 12th @ Vitality Thursdays, Lady Lush Hosts A Special Valentines Day All Girl DJ Line Up! 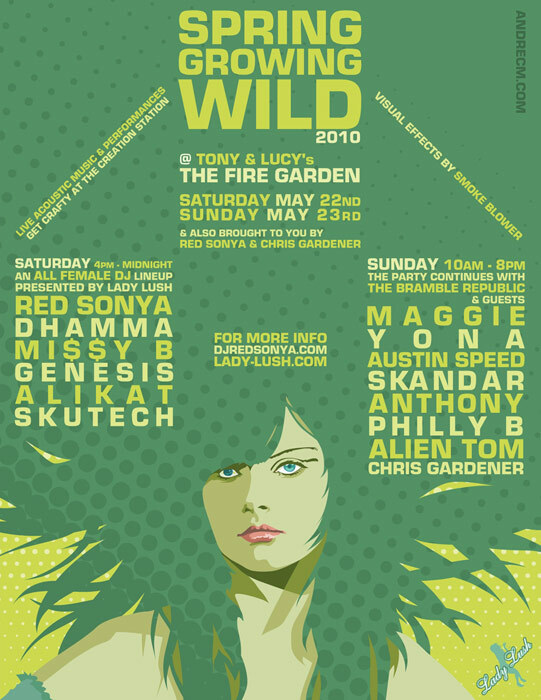 Music by Red Sonya, Polyfonix & DJ Nikki.